Others, such as the Roman Catholic author Jannet or the infatuated English radical, David Urquhart (who detected in Chartism the hand of the Tsar and a structure modelled on the Hetaira Philiké), were deeply sincere.2 Such examples may be thought special; a French priest under the Third Republic wrote from a political context of quarrels between the lay and ecclesiastical spirit, and Urquhart from an obsession with the Russian danger which makes their inclinations to conspiracy views understandable. But there are many more examples to be chosen which register the determination to thrust all historical data into the same logical Iron Maiden even when there is no special reason to do so. This testifies to the enduring nature of the mythology, but this century provides more striking evidence still of its efficacy in its incorporation in policy-making on a scale not paralleled, perhaps, since the Restoration era. We need not turn merely to its diluted presence in the alarm over Bolsheviks after 1918. There is the far more precise and alarming evidence provided by the actual persecution of freemasons. Between 1918 and 1939 the Craft was banned in Hungary, Italy, Germany, Portugal, Turkey, and Spain. It was denounced by the Comintern. Elsewhere it was by no means safe: French anti-masonry was politically almost as strong as ever and in 1935 a Parisian deputy proposed to amend the laws against the ‘ligues’ so that they should also apply to the Craft. When the war came, the German SS formed a special anti-masonic section which pursued masonic records and closed down lodges. Not all of this, of course, sprang immediately from the mythology, but the mythology was the soil of such policies. This should remind us of the danger of taking the recurrent irrational element in history too lightly. It is not enough simply to be amused by a Barruel or a Nodier; it is even beside the point merely to be irritated by them. Either reaction puts belief in secret societies on the same level as the fantasies of the Flat-furthers, and there is more to it than that, for it taps very deep and very powerful fears. They are still there, long after Barruel has lost his spell-binding power, and they emerge informally but violently in such outbreaks as the McCarthy scare of the early 1950s, the Russian purges of the 1930s, or the present Chinese suspicion of the outside world. All these fears rest on simplifying, dramatising visions of politics. In the background there is still a belief in hidden manipulation. Those who hold them have abandoned some of the stage machinery, but the plot is the same. With the secret society mythology as such most of us may have dispensed, but it provides an outstanding example of a continuing phenomenon, the readiness with which men can go mad when determined to dramatize their history. All human institutions can be described in terms of function, mythologies as much as any other. They are all responses to a need to master reality. They do this by providing an interpretation of it which seems satisfactory, and therefore gives the person who accepts the myth a chance to separate himself from the flow of events he has to interpret and a standpoint, as it were, on the outside of them. From intellectual satisfaction at the liberation he has achieved he may move on to acceptance of a fate he now understands (and can therefore will) or, even, to manipulation of it. In either case he gains a sense of control over reality, which may even be demonstrated by deliberate action in some cases not to be an illusion. Two possible levels of explanation exist. We could assume that there are permanent human characteristics which predispose society to political irrationality of perverse and noxious kinds. It may be pointed out, for example, that the secret society mythology is not the only one to have shown the power to influence men’s behaviour widely and deeply. It is not even the only version of the conspiracy vision of politics. Other societies than the modern European have had other irrational forces at work in them. An earlier Europe (to go no further afield) had different dramas in mind and harried religious heretics as the carriers of a fatal disease which might destroy Christendom if left unchecked. Another Europe burned witches. In a later age, we have had the even more monstrously irrational politics of anti-semitism. That is a very sobering episode to think about. It was one which had occasional points of contact with the legends of the secret society, too, but that is not why it is to be recalled here. Its importance is the outstanding evidence it seems to give of the continuing wish of men to be deluded. This approach, because of this, looks at first sight promising. There seems to be so much data available for investigation. But it has grave difficulties and, in the end, the central hypothesis of continuing perversity can hardly be demonstrated, though it continues to impress us. Though many men and societies show a recurring willingness to adopt ideas and attitudes which now seem irrational or unbalanced, we can still reasonably ask why some people and some societies were better able to resist such appeals than others, who rushed to embrace them. Granted that political irrationality is a social constant, we still need to explain why some individuals do not show it in a society where many do and why some societies are more able to control it than others. One tempting avenue of escape from this problem is to hope for explanation in the mental state of individual believers in the myth, for some may be properly called unbalanced, on any reading of their behaviour. This is in some ways even better shown by members of secret societies themselves than by their fierce conservative critics. Anyone who could believe, for example, the sort of things which were bandied about as part of the Templar legend, must have been at least highly fanciful and impermeable to much of daily reality. The great Buonarroti cannot but strike us as at least unbalanced; perhaps ‘enthusiastic’, in the old sense, is a fair word. There is in his obsession with organisation and ritual something suggestive of the enclosed mental world of Dostoevsky’s Possessed – and although Buonarroti’s elaborate conspiratorial network had ramifications wider than the isolated cell which was all that really existed in Dostoevsky’s book, its effectiveness showed almost as huge a gap between appearance and reality. Unfortunately, this line of enquiry leads to a dead end. The evidence is not available to follow it. Were we to establish a list of deranged persons who believed in secret societies as the motor of history, it would rest only on our own subjective impressions. So much has been hoped for from the assistance of psychology to the historian that, even at the risk of digression, this deserves a moment’s further attention. Much has been said about the usefulness to the historian of the `insights’ of psychology. This word is quite a good one, because it does not tie the user down to saying that he has got anything more useful than a suggestive analogy out of psychology, and thus far, I suppose, a historian could think consideration of that branch of studies helpful. On these lines, though, it is perfectly proper to say that equally and more valuable ‘insights’ may be gained from many other studies and psychology has no claim to be of special explanatory value. But some historians mean much more than this modest recognition of the possible helpfulness of psychology. There already exists a very large body of literature (most of it recent) on the philosophy and ‘methodology ‘ of this association of history and psychology. Much of it is pretentious twaddle, mere padding of bibliographies, though the best of it is written with seriousness and responsibility by historians who have actually tried to deploy their psychological studies as an instrument in specific pieces of historical research. Their efforts are justifiable but seem in fact to demonstrate the inadequacy of the approach because there seems to be no ground for believing that the `evidence’ of the psychologists which they use is either good or significant. If I understand them aright, those psychologists who are actually doing something which other scientists would recognise as scientific are themselves unable as yet to provide statements of sufficient generality and based on a large enough body of experimental data to be useful to the historian. In so far as their facts are hard, they are tiny. As for psycho-analytical approaches, both clinical and speculative, the historian must apply an academic Morton’s Fork : if the psychoanalyst speaks, it is hearsay or evidence about himself that he presents, rather than about his patient, and if it is the record of the patient’s behaviour (including verbal behaviour) that we study, then it is no different in kind from any other statement with which a historian has to deal. Its special nature has only significance as something to be considered critically by the historian (as he must consider the special form of, for example, a legal record). It is not possible to draw comfort from the assertion that the truth or falsity of what the psychoanalysed say can be checked by their subsequent response (in improvement or lack of it) to analysis. For this to be impressive it would have to be demonstrated much more rigorously than is usual that the response was indeed the result of the treatment. And even if this were to be demonstrated, we should have a technique of very limited value, for it can only apply to the living. To repeat an account of what someone said provides just another account to be read critically. What is distinctive about the psychologists’ work is the experimental element : even an analyst can modify his approach in response to changing symptoms. But it is just here that it is furthest from anything likely to confront a historian. Such opportunities rarely, or never, present themselves to historians. We cannot put Cromwell or Napoleon on the couch, or give them drugs. These are problems so great as to be at least for a long time insuperable if political irrationality is attacked on the psychological front. There is even a difficulty of definition involved : in many cases, the ‘evidence ‘ that people were un-balanced would be the fact that they believed in a mythology at all, although everything else known about them seemed normal. This would not be an explanation, simply a restatement. The other possible approach to explanation is historical and specific. It starts with particular manifestations of political irrationality and attempts to explain them by an exhaustive discussion of the peculiar circumstances of their contexts. The disadvantage seems to be that of the method in whatever context it is used; it peels the onion of historical fact to reveal at its centre the absence of any general theory, and this is logically dissatisfying to some of us. Perhaps it can be used more sparingly than this and can be employed at least so far as the isolation of the obvious circumstantial factors is concerned, without our going so far as to pretend to exhaust the question. On these lines, it is best to begin by recalling briefly and for the last time the essential structure of the secret society mythology in its classic age, however crude the summary may seem. A myth (or mythology) in the sense in which I have used the words in these pages is a collection of images. Connected, interrelated in their derivation and elaboration, they reinforce one another’s power, and this power is in large measure irrational. An effective myth is defined not by its correspondence with positive reality, but by its power to move men to action by giving them an interpretation of that reality. Political mythologies are only special instances of this, primarily affecting conduct conventionally called `political’. Much of the content of the myth of the secret societies was political, but by no means all (here, perhaps, has lain one source of its remarkable power). There is no perfectly typical embodiment of the secret society myth; there are always special variations. We must construct its skeleton by abstracting the essential constituents from its statements because even its most comprehensive statements Barruel’s for example — have distorting special features. At the heart of the mythology lies the recognition of delusion. Its central image is of a community unaware of its true nature. Apparently self -conscious and self-regulating, it is, unknown to itself, in fact directed by concealed hands. These are the hands of the secret societies, which are, typically, affiliated in a great network covering the civilised world. These societies have origins going back deep into history, sometimes into the very remote past. 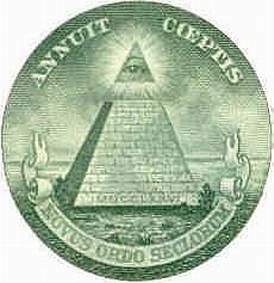 In the network they form freemasonry has a specially sinister significance, of which its members (or at least its leaders) are aware. The aims of these secret societies are unchanging and subversive; among the most cherished are the overthrow of the fundamental institutions of society: religion, morals, the family, property. Their means are covert, but always include the manipulation of unconscious agents who do not realise whom they serve but blindly further the destructive plans of their masters. 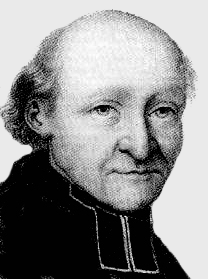 Directly, the most blatant advocacy of bad principles is employed to agitate discontent and to bring about a general corruption of good order; this can be discerned above all in the repetition of great historical patterns for whether the beginning is the Protestant Reformation, the persecution of the Jesuits, or the French Revolution, a mounting pattern of disorder is the clearest evidence of the design that links all the symptoms of upheaval in Western European society in one great conspiratorial success. Indirectly, the societies work through kings and powerful men, by no means all of whom are cognisant of what they do. A few enlightened and disinterested persons have always cherished humanitarian goals and have planned and striven to improve institutions cluttered and corrupted by history. They have recognised one another and co-operated to realise their common aspirations: this co-operation was first truly effective among the enlightened writers and Philosophes of the eighteenth century, who, as it were, secularised an assertion of the individual’s rights first expressed theologically by the Protestant Reformers. Many people who shared these ideals sought to satisfy them by joining together in freemasonry, whose statutes and institutions expressed tolerance, equality and enlightenment. Later, when tyranny and historic injustice had been brought to bay in armed struggle with the French Revolution, some of these men realised that it was no longer enough to rely on propaganda and education; they could no longer hope that political, social, and ecclesiastical injustice would be sapped by such means. Revolutionary action was required. So were born the first liberal and national movements, and later the early communist societies. Their means were conspiracy against the gendarme and confessor, the revolutionary education of people, and the international co-operation of the masses. The cause was essentially the same from the Enlightenment to the conspirators of 1821 and 1830, though the mode of action was transformed. This version of history is just as mythological and has just as little and as much to recommend it to the historian as the conservative scheme previously outlined. Yet it is the conservative version of the myth which is sometimes thought to be the only one which matters. The liberal version, it is true, had in its particular embodiments perhaps fewer traces of real paranoia than the other; its slightly greater plausibility assured it a place in a Whig-liberal historiographical tradition which is by no means dead today. Nonetheless, these are both types, even if distinct types, of the same genus. They both embody the secret society mythology and nourished one another. It is to the fact that they arose almost contemporaneously that we should direct our attention. They are products of the same historical situation and each illuminates their age. Why should such views have been so acceptable at a particular time? It is essential to recall again the most important but often forgotten fact that we approach historical questions with assumptions about what constitutes an adequate analysis which are quite different from those of the late eighteenth century and the first decades of the last. This is obvious, but crucial. The writing devoted to the secret societies may have been rubbish, but it was also often an attempt at historical analysis, directed to explaining a historical problem. It usually started from certain generally accepted canons of explanation. The assumptions of its writers about what constituted an adequate explanation have now been blown to the winds by the professionalizing of history. Nonetheless, there lies embedded in the secret society mythology a philosophy of history, though one few can now accept; we have our own mythologies which seem more helpful. The problem with which the conscious contributors to the mythology of secret societies were trying to deal was one of change on an unprecedented, accelerating and ever-grander scale. Historical change was not new; there had been a place for it in theories of those who sought to explain the ups and downs of states, the comings and goings of dynasties and princes. But it was not assumed that it would be either so fierce or so sweeping that it would compromise the very foundations of society and shake its most unquestioned ideas and institutions. Some societies were to prove more resistant to alarm and more ready to accept a new view of historical change than others, but all were in some measure shaken first by what the Enlightenment did to educated Europe and even more by the upheavals which followed the French Revolution. Since then, of course, change has never ceased and has even accelerated. If providential or theological interpretations were to be set aside (and they were not, altogether) men had canons of explanation available to interpret these changes which were, broadly speaking, of only two kinds. One looked to some kind of determining factor, but determinist theories were few and not held by many people. Moreover, since their most frequent forms were climatic or psychological, they tended to be more and more inadequate when applied to phenomena which appeared to transcend national and regional boundaries. They sometimes simply took the fashionable modern form of saying that all that could be recognized was the ‘force de choses’, the sheer inertia of the whole historical process. This left readers with a sense of helplessness but still with no sense of a key to the mystery. They were likely to be driven back on the other available major interpretation, classical and central to European civilization, that men were responsible for their own history: things happened because people wanted them to. This bias gave room for many varied views, of course. One obvious difference of interpretation could arise over the attribution of direct or indirect influence to men. The troubles (or blessings) of the era could be attributed to a few wicked (or benevolent) men in positions of power, or to the missionary activity of those who spread new ideas among large numbers of men. Nevertheless, any voluntarist interpretation made it easy for those seeking an explanation of complex change to fall back on the conclusion that a conscious agency was at work. This coincided happily with the bias of minds brought up in the Christian cultural tradition which located moral responsibility in the individual. Moreover, it corresponded to practical political experience. If we disregard the United Kingdom and certain moments in the history of some other countries, it is not too much to say that the idea of public politics was hardly known in much of Europe before 1789. What existed instead was the politics of courts and elites, a strong awareness of the importance of influence, intrigue, persuasion, and plot in shaping the acts of a comparatively small number of people in whose hands lay the power to make the decisions needed at the centre of a loosely organised ancien régime. To control these few was what the struggle for power was about. The institutional structure, therefore, itself favoured the concentration of attention on the acts of identifiable individuals, too. Moralists might qualify the primacy of individual will by calling attention to the inexplicable frustrations arising from chance or the intractability of human nature; commonsense and practical knowledge, too; suggested that the difficulties of execution might paralyse intention in a society whose technical scope for coercion was so small (by comparison with a later age). Nonetheless, the current was strongly in the direction of an analysis of events in terms of human decision and influence. The mythology of simpler, earlier societies, theological, and even magical, might not have done this; that of our own day, asserting above all the the toughness of the web of necessity, whether seen in terms of economics or of social structure, certainly does not. To look for the conscious authors of events was, however, natural to most men in the eighteenth century and the romantic era. This fundamental assumption was used over a wide range of events. The Enlightenment has been mentioned: it disturbed men not only because of its specific criticisms of ideas and institutions but because it seemed to some to threaten the whole sacramental, mysterious dimension which they apprehended as the essence of life. Moreover, it seemed to do so through acts which suggested an overall unity of standpoint and strategy among its supporters; they were therefore in a plot together. The even more shocking effect of the French Revolution which followed has already been sufficiently described. It is simply convenient to remark here that it also provided a new conceptual device which helped acceptance of the mythology. It threw up together with its spectacular and frightening drama the new politics which was to simplify its own interpretation. It not only created a need for interpretation, it also created its instrument; politics could henceforth be conceived as a huge but simple struggle for the Revolution or against it, and one which need never end. This polarization could be rapidly extended and intensified; the pre-revolutionary debates soon lost their distinctive outlines in the blinding clarity it provided. It was the Past against the Future. It became hallowed in the antithesis of Right and Left as the basis of politics ever since. That this vision of the revolutionary age should be generalised was made easier by the French hegemony, at first cultural and then, under Napoleon, political. The polarisation of politics created a sense of common opponents among those hitherto divided: the positive working of the Revolution as it was carried beyond France actually contributed to the positive growth of secret societies, too. When people came to look at the chain of events it seemed impossible to resist the simplifying, generalising tendency of the new interpretation. Doctrines and schemes which in fact and origin were deeply incongruous were marshalled together into two great ideological arsenals. And there was something in this. 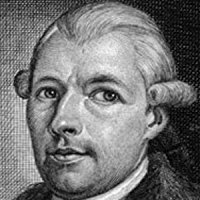 Critics of the Economistes of the French eighteenth century had not been wrong to see that their ideology had a moral dimension, and was not just a matter of technical proposals. Demands were generalised so that nationalists and liberals in one country could after 1815 make common cause with anti-clericals and free traders in another. The ideal model of eternal warfare between the ‘infâme’ and progress, or between presumptuous pride and historic wisdom, blurred all distinctions. As events unrolled, they did so in a way which favoured more and more a view of history as a whole as a struggle or a debate between two sides, one white, one black. The model became more and more persuasive and even the struggles of Greek city states and the trumpetings of medieval barons were strained out of context and re-read as acts in the universal drama of Left and Right. A political Manicheism resulted which has embittered our political struggles ever since. Today people still seek new extensions of its wondrously simplifying power and impose the terminology it has engendered on things as incongruous as the politics of modern Africa – just as, a century ago, they were imposed on the primitive convulsions of the Balkans. Another circumstance which was soon to feed the myth did not precede the Revolution, but emerged from it. This was the appearance of the full-time, professional revolutionary, a new character in the political cast. He had been pre-figured in Weishaupt, was supremely embodied in Buonarroti, and was to recur in Blanqui, Bakunin and scores of others right down to our own day. He is now so familiar that it is hard to recall how recent is the full-time agitator’s appearance. He rose into prominence first to enjoy the possibilities presented by the Revolutionary decade, when the professional agitator was new and therefore strange; it was not then hard to think that similar activities by many men in different countries were best explained by supposing a common source and direction. These are facts which help to explain the credibility of the myth. There were also other less enduring attendant circumstances which inferentially lent it plausibility. Plot psychosis dogged the revolutionary decade of the 1790s – and there really were, after all, lots of plots. 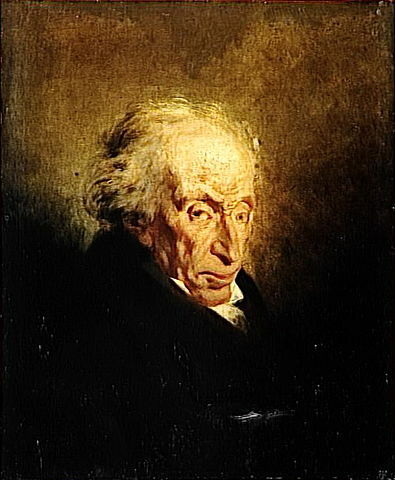 The Machiavellian exploitation of agents who themselves do not comprehend the full purposes of their masters is a commonplace of revolutionary politics and could hardly be doubted by those who remembered the veiling of Mirabeau’s bust in the Panthéon when his relations with the court came to light. Mystery and suspicion about motive is generated almost in exact proportion to the pace of change in revolutionary times. 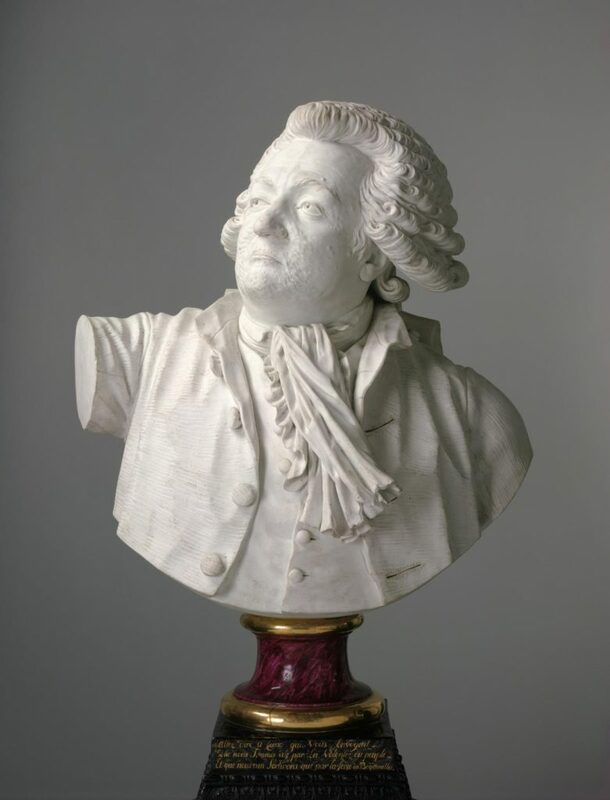 Survival, personal or political, requires side-stepping, ambiguous utterance, sudden volte-face; historians can still debate the honesty of the Gironde and the true aims of Robespierre. Perhaps this can be thought enough to explain a great delusion. Were we to confine ourselves to the scale of the upheavals which needed explanation, to the bias men brought to the attempt to understand them, and to known and suspected circumstances, we should already know much of the appearance and success of the mythology of the secret societies. Such conjunctions are indispensable in explaining any major historical fact. The fact that the mythology was later to wane in Western Europe, but to enjoy fresh success elsewhere, in different historical circumstances, further confirms the importance of special influences. Yet something remains. The local and temporary ascendancy of circumstance will not by any means take us the whole way. Our central problem remains and perhaps reveals some ultimate inadequacy in the idea of a historical `explanation’, if by that we are to mean much more than a translation of our questions in different terms. Plausible and logical accounts of events ‘explained’ by the myth were always available and some people were sensible enough to prefer them. Why should many others choose nonsense, instead? Why should even the ‘enlightened’ see the hand of the Jesuits in everything opposed to them? Is there a Gresham’s Law of the mind which explains why bad ideas may always drive out good, though the particular content and degree of intellectual viciousness of mythologies change from time to time? We are back at our starting-point. It is worth recalling again that the myth is available in Left and Right versions. No one who studies it, therefore, should feel happy to throw off the problem simply by defining as mythology the particular nonsense talked by his political opponents. What seems to be worth considering is the possibility that there exists always a readiness and perhaps even a need among many men to take a distorted, even paranoiac view of society, and that this is intensified at moments of great stress, though it may be impossible to delineate and measure it by historical methods. It would be sad if this were so, but it should at least make us a little less likely to laugh at our ancestors, because we should see more clearly that their preposterous credulousness and alarm might belong to the same family as our own political fears and dreams. This should not be construed only in the dramatic terms we have been considering; we could consider not only the witch-huntings and notorious injustices of recent history but (for example) the milder and far less damaging, but equally irrational, desire of many Englishmen to see so complex and elaborate a process as a general election presented as a conflict between the armies of darkness and light. Many other myths and traditional evocations of conspiratorial and personal demonologies could be cited. A modern publication such as The Black Dwarf still certifies to claim to be on the ‘Left by the traditional device of personifying such a shapeless abstraction as the notion of international capitalism. This may take us too far away from the secret societies and perhaps rob them of their special significance. If we grant the view that political irrationality is ineradicable, of course, then there is no need for further explanations: the circumstances alone will by themselves then determine which particular myths the irrationality exploits. Yet such a view is not a very comfortable one for many of us, because it points to a pessimistic conclusion. Mythologies will flourish if useful and some evil mythologies among them so long as they meet some men’s needs. It suggests that when a civilisation rejects one sinister mythology, it gains no inoculation against another. When the unclean spirit is gone out of a man, he walketh through dry places, seeking rest and findeth none. Then he saith, I will return into my house from whence I came out; and when he is come, he findeth it empty, swept, and garnished. Then goeth he, and taketh with himself seven other spirits more wicked than himself, and they enter in and dwell there: and the last state of that man is worse than the first. 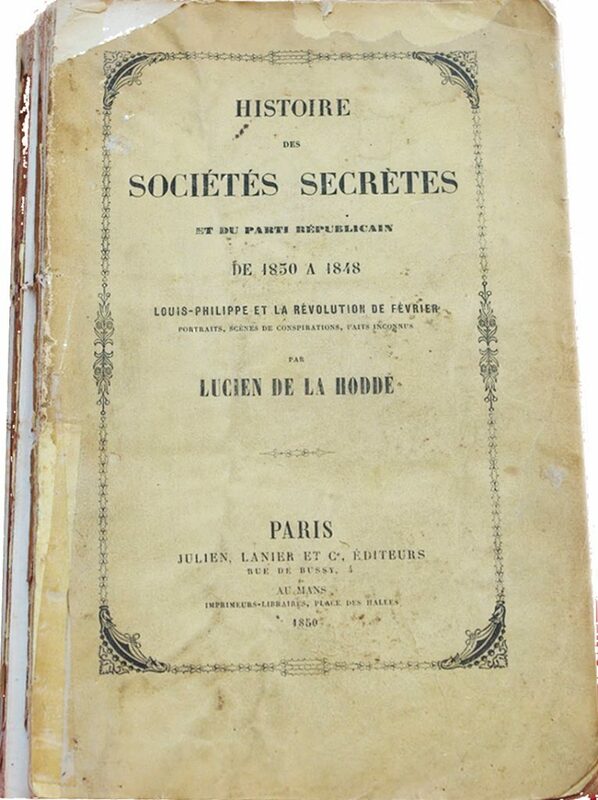 L. de la Hodde, Histoire des sociétés secrètes et du parti républicain de 1830 à 1848 (Paris, 1850). 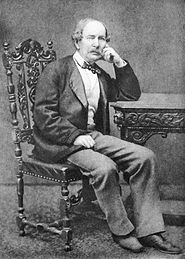 See C. Jannet, Les sociétés secrètes and the words of Urquhart of 1873 quoted by T. Frost, The Secret Societies of the European Revolution (London, 1876), pp. vii-viii. 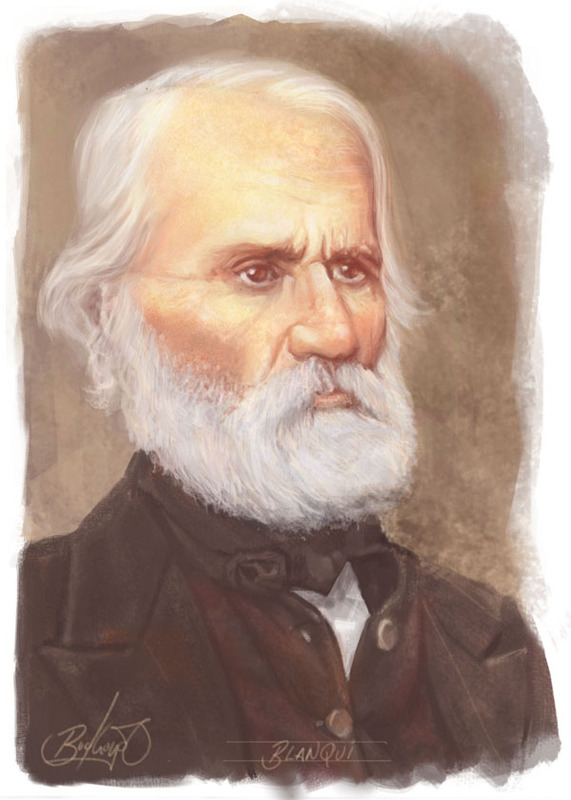 L. de Poncins, S.D.N. Super-Etat Maçonnique (Paris, 1936), p. 49. Secret Societies and Subversive Movements, by Nesta H. Webster, was republished in 1964 in its eighth edition, it may again be remarked.